The DJ Jonezy Mixshow, Nobody, Aston Martin Music, Diced Pineapples, 3 Kings and more. 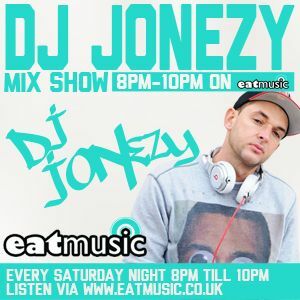 DJ Jonezy in the mix plus interviews & guest mixes. DJ Jonezy jumps in the mix with the very best in upfront and classic Hip Hop, RnB, Soul, Dancehall, AfroBeats & House plus interviews & guest mixes with some of the biggest artists DJs & producers from across the South West, UK & the world.